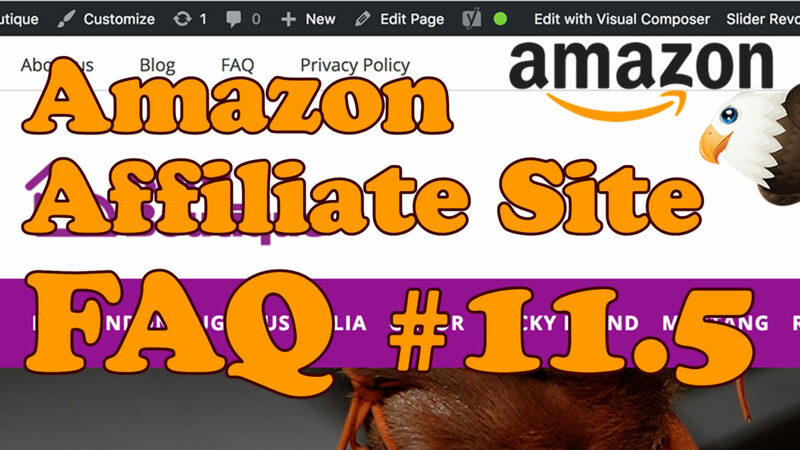 After my last Amazon Affiliate video where we updated loads of things, i’ve been hearing from people that have encountered a few problems with product images. After getting in touch with AA Team they’ve provided an updated version of Kingdom to fix these problems. Use the link below to download it. If you’re not sure how to update your theme, take a look at this video. Copy and paste this CSS code in to the additional code section of your customize area found in Appearance. If you get stuck be sure to check out the forums. I need help in embedding my Amazon store into my WP website. I followed some directions, but nothing happens. I am on my WP page. I go add a blank page to my website and label it Store. Esther Liz from Austin Tx. Some thing is missing where I am pasting my store script code. Can you help?